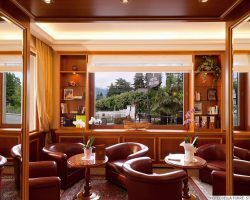 L’hotel Della Torre è uno splendido hotel tre stelle a Stresa, sul Lago Maggiore. Tra i suoi punti di forza, le camere finemente rifinite, la vicinanza al centro di Stresa, alla stazione ferroviaria e agli imbarchi per le isole borromee. Dall’imbarcadero, distante soltanto pochi metri, è possibile raggiungere l’isola madre, l’isola bella e l’isola dei pescatori. All’interno dell’hotel è presente un ristorante, che propone piatti della tradizione Italiana e piemontese ed è in grado di soddisfare le esigenze alimentari di ogni ospite. 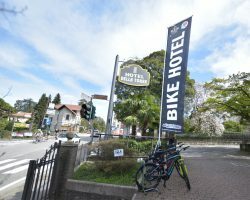 L’hotel dispone di una Bike Room custodita che offre la possibilità di lasciare in tutta sicurezza la propria bici, l’area è completamente videosorvegliata e viene chiusa in specifici orari. 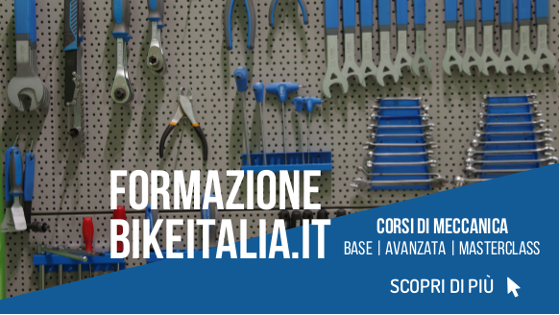 All’interno, dispone di una piccola officina attrezzata con chiavi, brugole, cavalletti e rastrelliere, dove è possibile svolgere il lavaggio e tutti gli interventi di manutenzione sulla propria bicicletta. 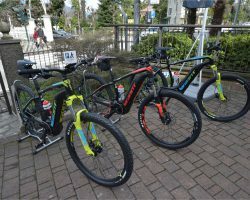 Offre inoltre l’opportunità di noleggiare direttamente e comodamente in hotel delle nuovissime biciclette Giant con pedalata assistita. I modelli sono diversi ed ognuna adatta alle diverse discipline (Mountain Bike, City Bike, Bici da Cicloturismo). Su richiesta è possibile noleggiare delle bici da corsa. The Della Torre hotel is a wonderful three- star hotel in Stresa, on lake Maggiore. 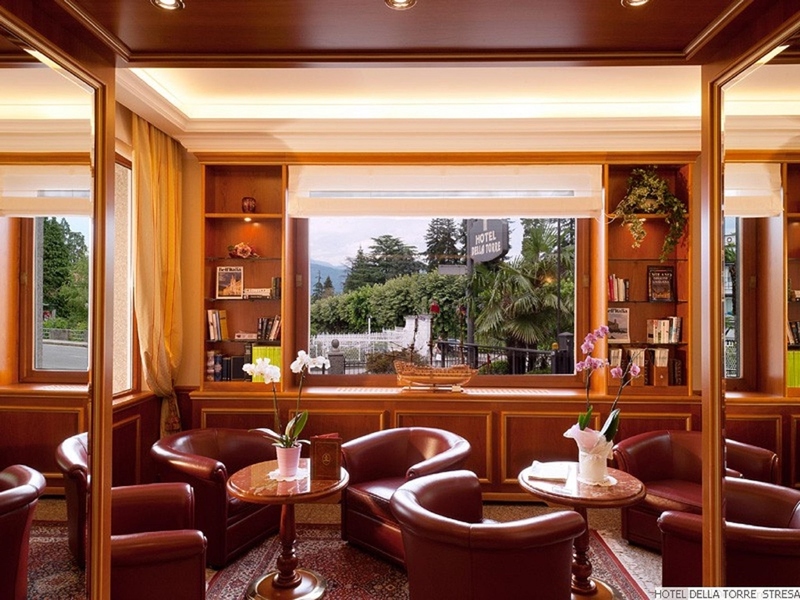 Higher category hotel, it has some very relevant features as the finely finished rooms, the proximity to town centre of Stresa, to the railway station and to the ferry embarkation to reach the Borromean islands. The pier is only a few meters away from the hotel. From there you can embark on the ferries which take you to isola madre, isola bella and isola dei pescatori (fishermen’s island). 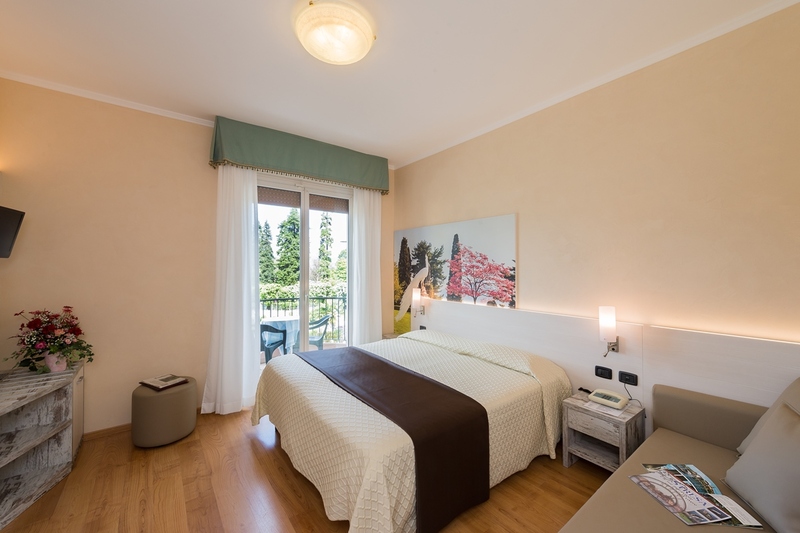 The rooms have a classic and sober style, each one furnished with different colors and equipped with the best comforts. All rooms have a private bathroom with shower or , in some of the rooms, a bathtub. 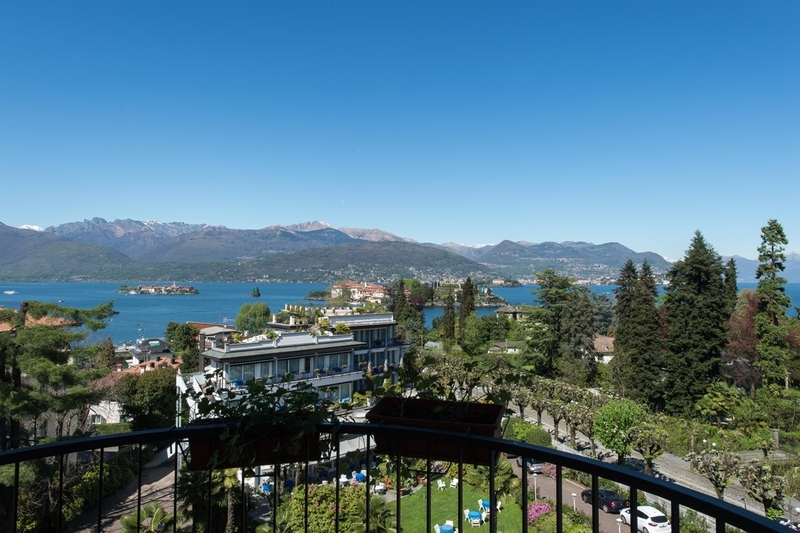 The view from the rooms is stunning, especially the one from the rooms overlooking the lake. 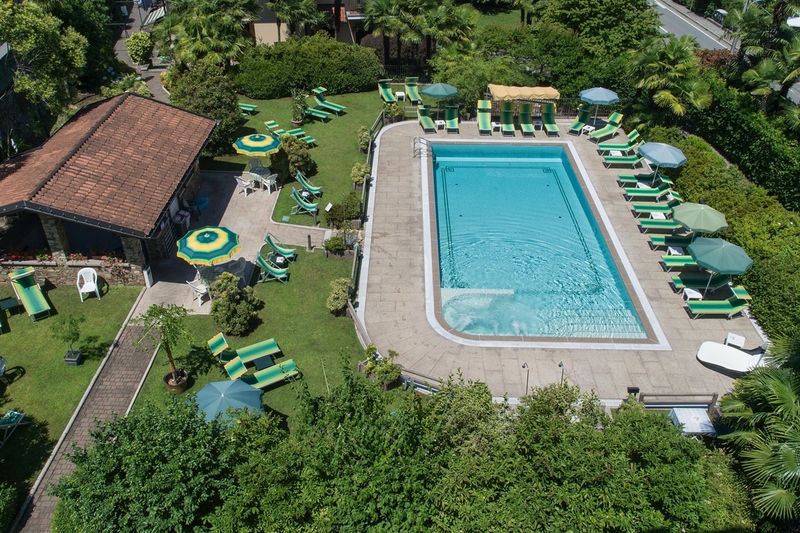 The hotel has a large swimming pool with whirlpool, equipped with deck chairs, relaxation beds, tables and chairs. You can also find a small snack bar for a quick and appetizing lunch break or to cool down with a cold drink prepared by our bartender. Occasionally we also organize aperitifs and pool parties. 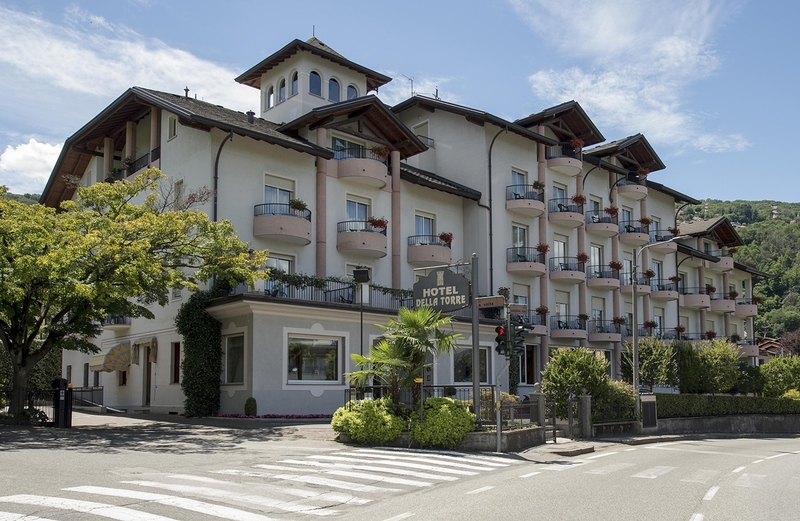 Our hotel has a restaurant, where Italian and Piedmont traditional dishes are served and it can also satisfy the food requests of each guest. 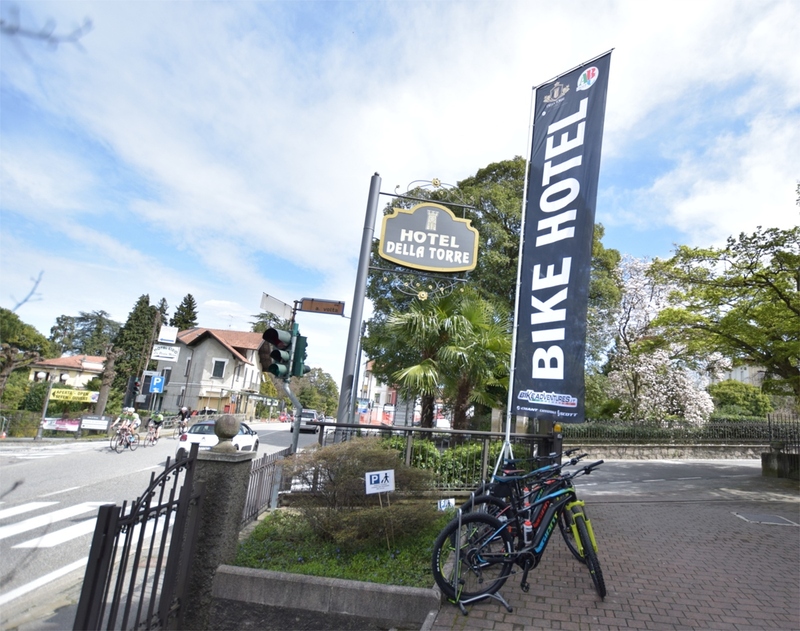 The safeguarded Hotel Bike Room offers the possibility to leave safely the own bike. The area is completely videosupervised and it is has fixed opening hours. Inside, there is a small repair shop equipped with wrenches, hex keys, kickstands and racks, where it is also possible to wash and do some maintenance work. We offer to all our guests the possibility to rent directly in the hotel the brand new Giant pedelec bikes. 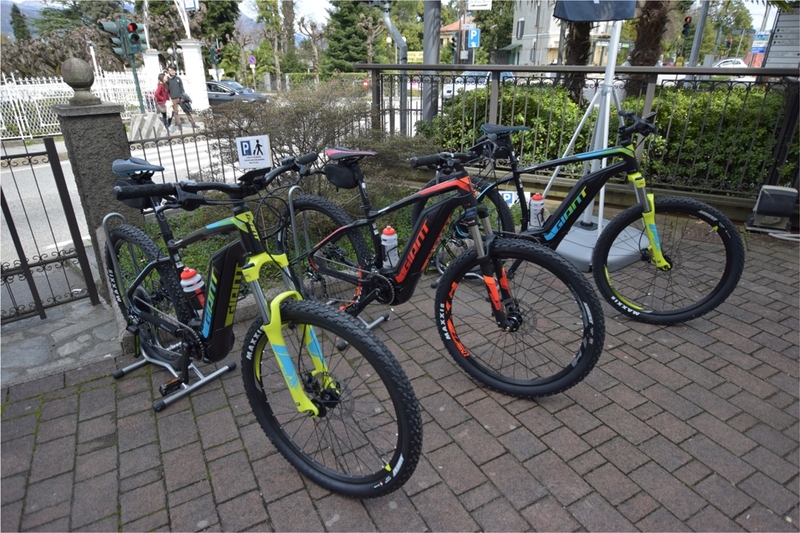 The models are different and suitable to various disciplines (MTB, city bikes, cyclotourism bikes). On request, we can also procure racing bikes. 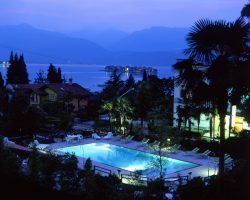 Das Hotel della Torre ist ein herrliches drei- Sterne Hotel in Stresa, am Lago Maggiore gelegen. 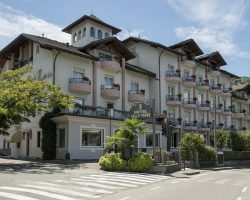 Unter der verschiedenen Stärken des Hotels beheben sich besonders hervor die fein bearbeiteten Zimmer, die Nähe zum Stadtzentrum von Stresa, zum Bahnhof und zur Einschiffung zu den Borromäischen Inseln. 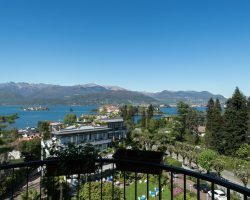 Der Landessteg ist nur einige Meter vom Hotel entfernt und von dort kann man die isola madre, die isola bella und die isola dei pescatori erreichen. Die Zimmer sind klassisch und schlicht. Jedes Zimmer ist mit verschiedenen Farben eingerichtet und mit dem besten Komfort ausgestattet. Alle Zimmer haben ein eigenes Bad mit Dusche, einige haben eine Badewanne. Die Aussicht aus den Zimmern ist zauberhaft, besonders von den Zimmern an der Seeseite. 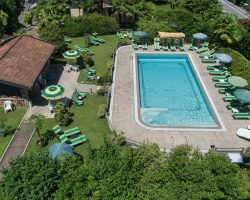 Das Hotel verfügt auch über ein großräumiges Schwimmbad mit Whirlpool, ausgestattet mit Liegestühlen, Entspannungsliegen, Tischen und Stühlen. Hier finden Sie auch eine praktische Snack Bar, wo Sie eine schnelle und entzückende Mittagspause verbringen oder sich mit einem von unseren Barkeepern zubereiteten Drinks abkühlen können. Gelegentlich organisieren wir auch Pool – Aperitiven und Partys. Im Hotel befindet sich ein Restaurant, das traditionelle italienische und piedmontesische Gerichte anbietet und das den Nahrungsbedarf aller Gäste befriedigt. Der aufbewahrte Bike Room des Hotels, bietet die Möglichkeit, das Fahrrad sicher zu lagern. Das Areal ist total videoüberwacht und hat bestimmte Öffnungszeiten. Im Bike Room befindet sich auch eine kleine Reparaturecke, ausgestattet mit Werkzeugen und Fahrradständer, wo die Wartung und die Reinigung des Fahrrads durchgeführt werden kann. Wir bieten unseren Gästen die Möglichkeit, direkt im Hotel die neuen Giant Pedelec zu verleihen. Die Modelle sind unterschiedlich und jedes Fahrrad ist für die verschiedenen Disziplinen (MTB, City Bike, Fahrradtourismus) passend. Auf Anfrage können wir auch Rennräder besorgen.